For 2017 we've tweaked the Valhalla to make it better than ever. 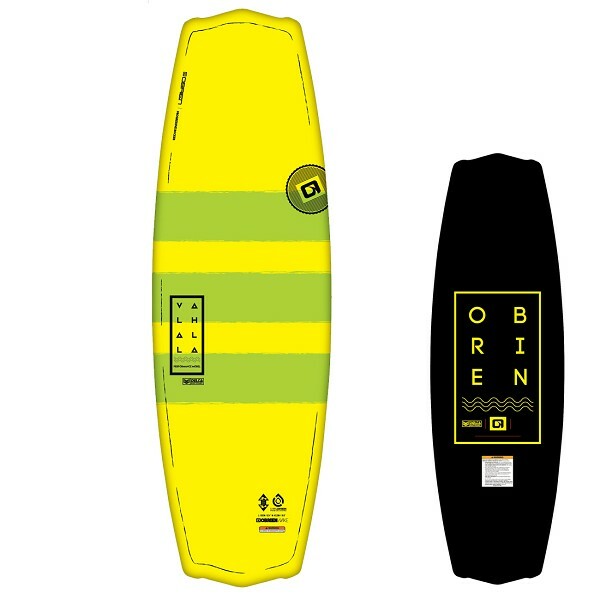 Its new contouring and balanced thickness profile have taken an easy to ride board and made it even more forgiving to benefit beginner and intermediate riders. Its Feather Core, new thickness profile, and molded fins give the Valhalla tons of control from edge to edge making it an ultra reliable shape. The new contouring, along with its Progressive Rocker and Delta Base, generates a smooth, controlled pop off the wake; allowing the rider to maintain control in the air and build confidence in their riding. A Shuswap Ski and Board favourite, the Valhalla has been a staple in our store for several years. Try one out with a pair of Access boots this year and see why!! For shipping and customer service policies click here.